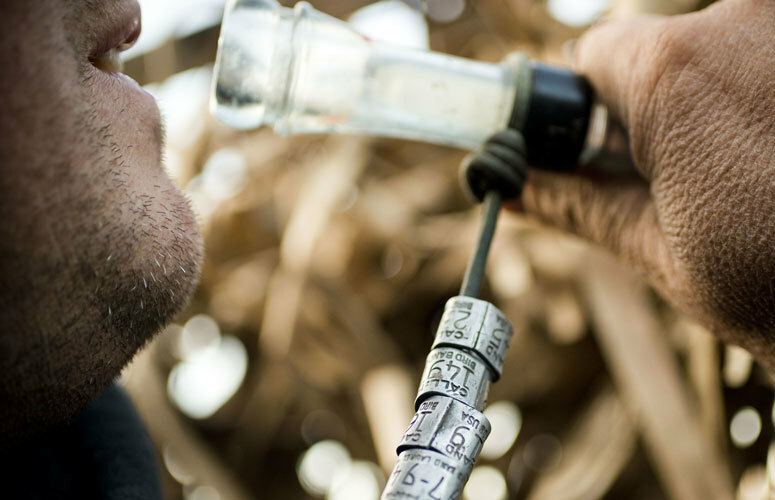 When Bauserman needs a break from bowhunting big game, he sets his sights on ducks and geese. Here's why you should, too. I’m a bowhunter. It’s who I am. It’s what I do. From August through the end of November, my life revolves around pursing big game with a stick and string. As for the other eight months of the year ... I spend countless hours preparing myself mentally and physically to be the best bowhunter I can be. I train six days a week, run ultramarathons in the Rockies, shoot my bow every day, and test and tinker with gear. I love it. I can’t get enough of it. However — and I think every serious bowhunter can relate to this — the process can be tedious, tiresome and extremely stressful. Given that bowhunting is a huge part of my job and that I (and others) expect results in the form of dead critters, the aforementioned stress is magnified. I had to find some sort of release, some sort of therapy that had absolutely nothing to do with deer hunting. No post-season equipment inventory. No categorizing trail camera photos. No future food plot plans. No studying maps looking for better entrance and exit routes to my stand sites. I found it with a shotgun in my hand, my lab at my side, and a spread of duck and goose decoys sprawled out in front of me. It’s my stress relief. It’s my escape. It’s my deer detox. Yes, waterfowling is my deer therapy, and here are four reasons it should be yours as well. I don’t know about you, but I’m sick of scent-free soap, washing my clothing in scent-free detergent, storing my gear in scent-free totes, dressing in icy temperatures outside my truck before heading into my stand and spraying down with scent-eliminating spray. I don’t wash my waterfowl gear. My waders reek of mildew and sticky black pond mud. If I’m toting duck decoys into a pond or river, I shine my headlamp on high beam and let it dance around the woods (no red or green low beams). My favorite thing, however — and something that makes me chuckle as I walk — is the loud clank of plastic decoys shifting in the Santa Claus-like decoy bag on my back. If I’m hunting geese, I often drive right into the field, drop my tailgate and start setting out my fakes. All of this is simply liberating. Oh, and the only reason I even glimpse at the wind is to see where I should sit and where I should place my decoys. DUCKS AND GEESE CAN’T SMELL! I’m not a trophy hunter. I don’t name deer. I don’t really have a hit list. I do, however, try my best — especially when hunting private ground — to kill mature deer. This can be a pain in the you-know-what. I know throngs of bowhunters who take the “kill-a-mature-deer” quest to a level of insanity – passing on giant four-year-old bucks in hopes of killing that 170-inch five-year-old they have on camera. When it comes to ducks and geese ... who cares? I will shoot pint-sized teal, medium-sized gadwalls and widgeons, large greenheads, snow geese, blue geese and Canadians. They all make me smile just the same. If it decoys, it dies. Yes, it’s really that simple. Doesn’t it sound glorious? I promise you it is. By the end of deer season, we will all have logged countless hours in a treestand. Some of us will have sat from September through November without releasing a single arrow. Yes, I know this comes with the territory, but knowing and expecting it doesn’t make a full quiver any more fun. Heck, I had a fantastic year. One of my best ever. I shot three bucks and three does in three different states. Still, in total, I logged 132 hours in a treestand. I’m by no means a mathematician, but that’s one shot fired for every 22 hours. Last night, I fired 12 shells in less than 30 minutes and harvested five ducks. Man, did it feel good. Over Thanksgiving break, my son Hunter and I shot 22 times in 60 minutes and killed three ducks. We shot horribly. (More on that in a minute.) The point is, there’s something about letting a 12-gauge sing that pulls stress from you faster than a NASA rocket. Last year I botched a shot on a 150-inch whitetail. Even writing about it now is painful. I will probably never get over it. I didn’t sleep for three days after the miss. I was sick to my stomach, and yes, I cried. It was horrible. My son and I missed a pile of ducks (told you we’d get back to this), and we’re still laughing about how badly we shot. The difference is night and day. So whether you had the season of your life or one you’d rather forget, head for the water, have a blast, and enjoy the best deer season de-stresser of your life. You can thank me later. Waders: Cabela’s Northern Flight Waders.